At MFE Insurance, we know that choosing a Health Insurance policy can be a tedious and stressful process. That is why we take the time to listen to your specific needs and create a custom Health Insurance plan centered around you or your business. From individual plans to business plans, we offer Health Insurance plans at affordable rates. Whether your business has 5 employees or 4,000 employees, MFE Insurance offers businesses competitive medical, dental, and vision plans for their employees. Medical Insurance covers the cost of medical bills in the event that your or your employees’ need to seek medical treatment. Your Medical Insurance policy will help cover a portion of the costs associated with medical expenses from minor exams to major medical surgeries. A Medical insurance plan will help to alleviate some of the stress of paying off medical bills, when your focus should instead be on wellness and your health. Your Medical Insurance policy will list a package of medical services which can include benefits such as outpatient care, inpatient hospital care, emergency room visits, prescriptions drugs and other treatments, lab tests, services and devices relating to a disability or chronic conditions, preventative services like screenings and vaccines, and it can include counseling services. Dental Insurance covers a portion of you or your employees’ costs associated with preventative, minor, and major dental care. A Dental Insurance policy can be purchased separately from a major medical plan, which is why you need MFE Insurance to help find a policy that offers benefits that fit your specific needs. A Dental Insurance policy will cover a portion of your expense associated with basic services like cleanings, routine exams, X-rays, fillings, and extractions. Your policy can also cover more expensive services like a root canal, crown, etc. Vision Insurance is designed to help you or your employees’ with the cost of medical expenses relating to your eyes by providing you with discounts and benefits. Your Vision insurance policy will alleviate some of the costly stressors that can be associated with vision care. 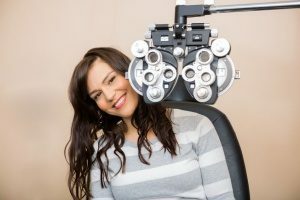 Your Vision Insurance Policy will typically cover you routine preventative eye care exams and prescription eyewear, like contact lenses or glasses, the cost of which can add up extremely quickly. Other coverage benefits can include vision correction surgery, such as LASIK or PRK, should you decide to have one of those elective procedures.